For over 18 years i have supplied domestic properties throughout South East London and North Kent with fast and efficient painting and decorating services. I have already supplied many domestic properties throughout South East London and North Kent with my professional and cost effective painting and decorating service. From hanging a new paper in a bedroom to painting the exterior of your house; N M Decorating Services are certain to provide a comprehensive solution. Offering a personal and friendly service is what makes me the perfect choice for all your painting and decorating requirements. I will discuss your requirements with you and supply the right paints and decorating products to create the new, beautiful look for your property. I offer a full service and can cover both external and internal requirements. Give me a call today on 07713 920383 and i will arrange a FREE, no obligation quotation at your convenience. My services are always provided to the highest standard by a professional and friendly painter. Even offering a 15% discount for Senior Citizens. So, if your home is in need of updating; don’t hesitate to get in contact with me. At N M Decorating Services, i don’t only have many years of experience behind me, i am also time served. This ensures that i only provide the very best decorating and painting services to my clients. My prep work is conducted with such professionalism and to such a high standard, this level of standard is taught under supervision at colleges or on site over a number of years. I am proud to conduct myself in this manner to this very day. 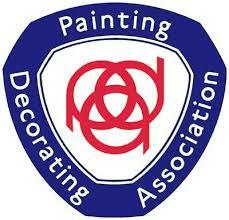 N M Decorating Services is also a proud member of the Painting Decorating Association. See my Testimonials page for some fantastic reviews. I have already provided many domestic properties with a wide variety of painting and decorating services including kitchen unit refurbishments and marbling effects. From a basic coat of paint in single colours to a range of beautiful effects, i use only the highest quality primers and paints in my work, so quality is always assured. I will make your home stand out and look brand new, with minimal disruption to your day. Working at a time that suits you, means that i work around you - even if it means working weekends! Throughout the 18 years i have been providing my painting and decorating services to domestic properties which has given me the chance and the experience i need to ensure you get the best service every time. This is why many of my clients come back or recommend me to their friends and families. My wide range of painting and decorating services covers all types of requirements. If you are looking for one wall to be decorated or need a more detailed paint job; I offer a fast, clean and friendly service. Based in Sidcup, offering a wide range of painting and decorating services to domestic properties throughout , Bromley, Bexley, Bexleyheath, Beckenham, Chislehurst, Hither Green, Lewisham, Blackheath, Eltham, Dartford and Greenwich. If you are looking to re-decorate a single room or looking to re-decorate your entire home; get in contact today and i will provide a professional solution at a great price.